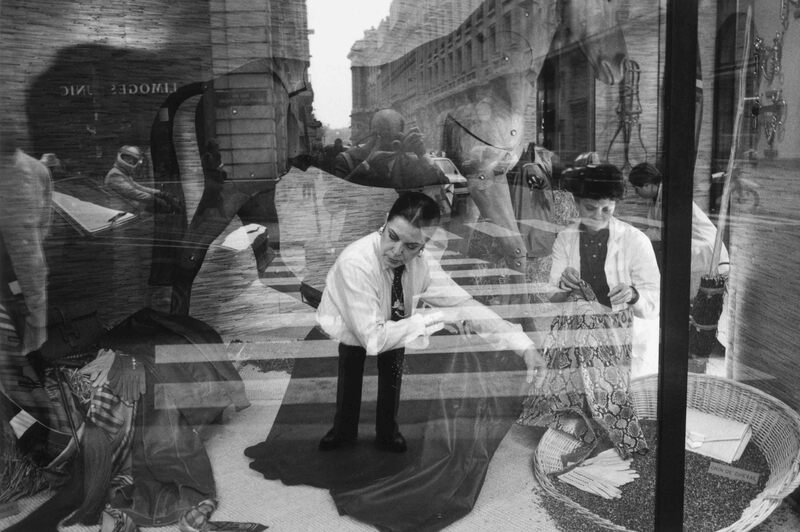 When Leïla Menchari was just an art student, having freshly moved to Paris from her native Tunisia, Annie Beaumel, the decorator in charge of Hermès’s windows, asked her to “draw me your dreams.” Little did Menchari realize on that day in 1961, that she had stumbled upon her life’s work. Today, the stories she tells in her windows for Hermès remain the standard by which all other displays are measured. 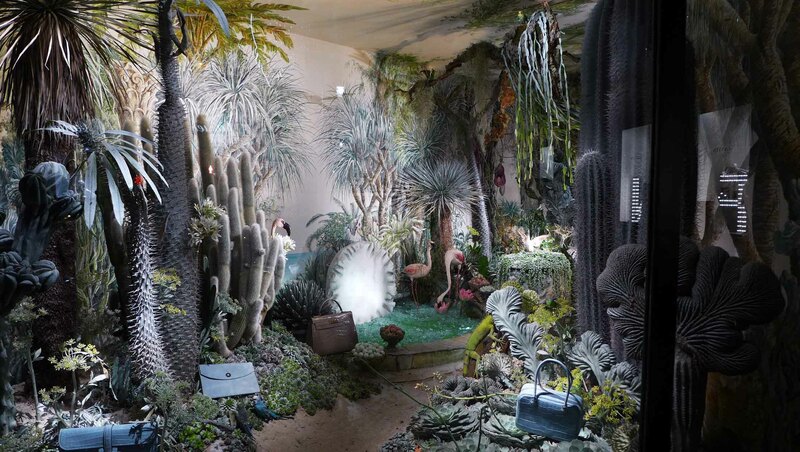 For thirty-five years, the nonpareil storyteller Leïla Menchari was the imagination behind the window displays at 24, rue du Faubourg Saint-Honoré, each one being intricate odes to craftsmanship. Her art’s rich history was the subject of the “Hermès à Tire d’Aile: Les Mondes de Leïla Menchari” exhibit at the Grand Palais this winter, which ran from the 8th of November to the 3rd of December 2017. The designer pieces in the show were one-of-a-kind works of art and not for sale. The same was true when Ms. Menchari was creating her windows: most of the pieces that Hermès artisans were assigned to make for them were never available for purchase. Leïla, an admirer of Dalí and the Surrealists, discovered that in the Hermès workshops, anything was possible. Elation, and dizziness: when reality is raised to the level of a dream, when the magic works. Her challenge was to repeat the trick, constantly feeding and nourishing the spark, raising the bar, prompting the imagination to be infinitely more creative. Her crafts were audacious, in a word. And, at the same time, the result had to be impeccable. There was no room for approximation. What’s more, all of this had to be done four times a year, applying the annual theme to each new season. “When designing a scene, there must always be some mystery, for mystery is the springboard to dreams. 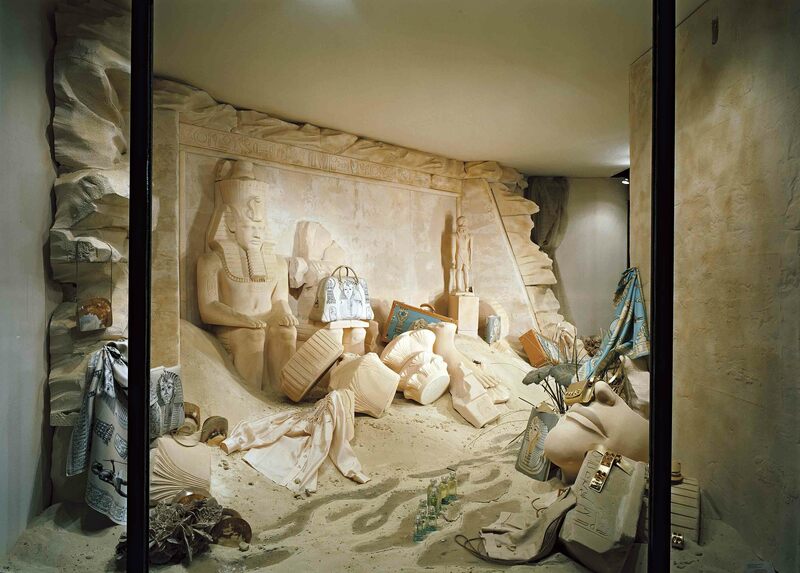 Mystery is an invitation to fill in the gaps left by the imagination.” This is how Leïla Menchari explains one of the secrets behind the success of her flamboyant window displays. Likening every window to a little theater in which every role should be played well, she has said that “things that are made well never leave you indifferent. Beauty is what makes me grow.” Even 55 years after auspicious beginnings, she said she still feels like she’s just getting started.